Donny Montell (real name Donatas Montvydas) was born on October 22, 1987, in Vilnius. His mother was a gymnast and his father was a drummer of the famous hard rock group Plackartas. Montvydas' older sister is a professional dancer. His interest in music began at a young age. He started performing publicly at age six when his vocal teacher let him to participate in the contest for young singers "Dainų dainelė" (The song of the Songs), singing "Aš kiškelis mažas" and he became a laureate. Later he studied at Balys Dvarionas music school. "Creating, singing and dancing – at least for now it is the passion of my life, a way to discharge emotionally, to have a rest from the rest of the world. There is only you and the sounds of the music, in which, differently from the rational life, you feel safe, free and happy – the real “you”. Every person has something individual and beautiful, just most of us don't even try to search for that. Each of us is gifted by nature, but everything depends only on us – if we are ready to accept that. I don't consider myself special – I just have people in my life who inspire me not only as musicians and creators but as personalities as well. These people inspire my strength, ideas, and I feel their support. I'd like to leave behind me at least a part of what they have left, but it's not for the recognition or appraisal. If there is at least one person in the world (including me), for whom my creative work gives pleasure, then I'd like to be a part of the music"
Donatas has raised to the national fame with participation in all kinds of TV projects. In 2008 Montvydas competed in the "Lietuvos dainų dešimtuke" (Lithuanian top ten) (with Aiste Petkevičiūte) where he finished on 1st place, and in national preselection for Eurovision Dance Contest, finishing 4th with Katerina Voropaj. In 2010 he competed in "Žvaigždžių duetuose 4" (Star duets) (with Akvile Kavaliauskaite) and took 2nd place and in the same year he appeared at "Šok su manimi" (Dance with me) (again with Katerina Voropaj), winning the show. He also performed internationally: became Grand Prix winner at Slavyanskiy Bazar in Vitebsk, Belarus in 2008, competed at New Wave 2011 in Jurmala, Latvia where finished 12th. As a child, Montvydas was highly influenced by artists such as Michael Jackson and rock band Queen and would often impersonate these artists from a young age. Donatas also took part in the TABAMI project, where he performed songs of Michael Jackson. "It was one of my dreams that came true – to sing Michael Jackson's songs on the big stage. He's also taken part in the national selections for the Eurovision Song Contest in 2009 ("From the Distance", 2nd place), 2010 ("Running Fast", disqualified after winning semifinal for breaking of release date rules) and 2011 ("Let Me" and "Best Friends" with Sasha Son, 4th place). 2012 was the successful year for him, as he became winner of the national selection show with "Love Is Blind", placed 14th at the international finals in Baku. In the same year he has released debut album "Donny Montell". In 2013 he became one of the mentors at the "Lietuvos Balsas" (The Voice) project, which he continues now into 4th season. 2013 also saw release of his 2nd studio album "Norim Dar". Over 2015 and 2016 he has released singles "#BLCK" (feat. Echoes), "Viskas Bus Gerai", "Kas Busim Rytoj", "Tai Musu Laikas", "Is Proto Einu" and "I've Been Waiting For This Night". Music video for "I've Been Waiting For This Night" was released on 3 December 2015. Single also includes Trap and Club remixes for the entry. Currently singer is preparing his 3rd album release "#BLCK". "Both me and songwriter Beatrice Robertsson liked the guy from the start. He is modest, cute, with big heart. We are very looking forward to meet again with him in Stockholm! 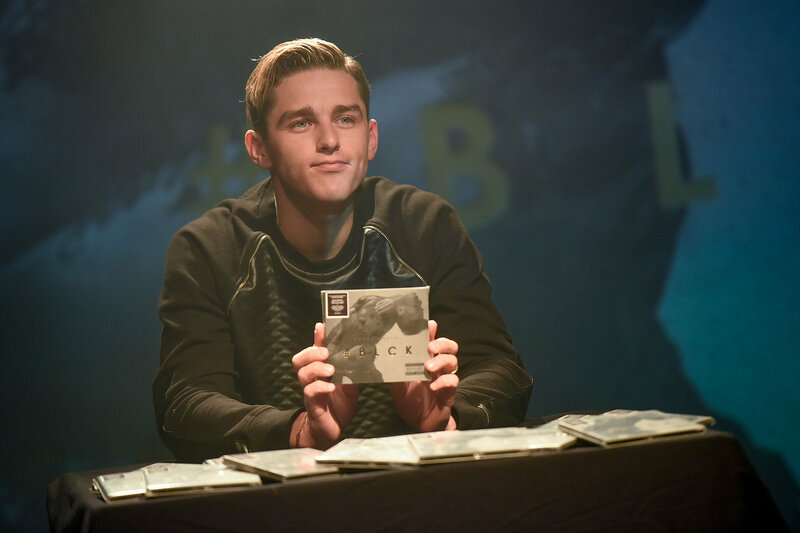 Without a doubt - he may become an international star", says composer Jonas Thander, "Donny Montell is at the same level as, say, last year's Eurovision winner Måns Zelmerlöw. Great singer, learning how to create an attractive performance. I think Donny greatly improved since the 2012 Eurovision. I am sure that he has the greatest chance to take top spot in May in Stockholm. Donny will be in top 5, and maybe even first". Donny won 1st show of the national preselection, but lost out to Rūta Ščiogolevaitė in 4th show, and to Ruta and Erica Jennings in 6th show. He managed to climb back on top to win 8th show with maximum points, but in semifinal (where international jury was not voting) again lost to Erica Jennings. However, he managed to return himself top spot in the finals. "Eurovision is the event I dreamed of since childhood, with it millions audience it still remains one of the few ways to get noticed by the whole world. One thing that determines the participation in it though is the song. You either have it or not. Shortly after the Eurovision 2012, I had started thinking about possible return, but I was "waiting" for the proper track. Now, when I found it, I'm just "waiting for this night"
Upon his return from Israel to Lithuania Donatas Montvydas has held a press-presentation of his newest album "#BLCK" during which he has also spoken with local press about his latest preparations for the competition. "I will not lie - I think it is the one of the most expensive Lithuanian music albums in history", - said D.Montvydas speaking about his release. Great part of album has been recorded in English language, and according to Montvydas this is no accident. "It is done deliberately, because I'm seeking actively to enter the global market. We need to keep dreaming and to pursue our dreams. Why should I not be able to inspire others as once I was myself inspired by Freddie Mercury or Michael Jackson? ", he asks. Six songs on the album have been created by Swedish composer and producer Jonas Thander, who worked with such artists like Taylor Swift and Jessie J. The other songs were written by Montvydas himself as well as by Lithuanian producer Gytis Valickas – Echoes. On the sound have worked Spanish and Swedish specialists. The contracts for the promotion of the album have already been signed for Italy and Switzerland. At this moment album can only be purchased at Donatas Montvydas concerts: in Siauliai, Klaipeda, and at the final event - the April 21 in Vilnius. It is also available on digital websites. After the short stay in Lithuania, the singer will be returning to Sweden to continue rehearsals with stage director Sacha Jean-Baptiste. During his stay in Israel Donny has received some very good news from the organizers of the contest in Stockholm. Eurovision director has finally confirmed that Lithuanian entrant will be allowed to do on the stage an impressive and somewhat dangerous flip, using also special effects for it including smoke. Even better news - he has been allowed to bring own trampoline, and will not have to rent it from the contest organizers, so saving a considerable amount of money. Trampoline was already dispatched to Sweden yesterday, so that Donny can use it during his rehearsals. Singer will be departing to the Eurovision on 2nd of May. "I feel calm, because we have the idea of how everything should be. And most importantly we have a team this year, everyone is doing their job. Four years ago we with manager Martynas Tyla did everything ourselves, and this year we have people who each are doing their part of job", explains the singer. On Tuesday singer Donny Montell was filming Eurovision postcard in Vilnius. The postcard started with filming together with Lietuvos Rytas basketball club, where the Lithuanian entrant together with Antanas Kavaliauskas, Mindaugas Lukauskis and other stars of the team took part in improvised workout. "It is - like a childhood dream come true, because basketball is my passion," - said the sport school graduate who received a chance to play with professionals. For ten years Donatas has attened training sessions and even graduated from the basketball school, but eventuall has decided to devote his life to the music, rather than professional sport. But Donatas is still playing today for an amateur basketball team. After Sports Arena Donatas went to Trakai - here he was joined by his wife Veronica and their daughter Adele. The filming with the family continued in the Trakai Castle and several other areas of the city with views of the spectacular scenery. Decision to add loved ones to the video was taken by Donny himself as he wanted to emphasize the importance of family in his life. His wife and daughter will also join him in Stockholm. On Monday evening, LRT has broadcast Donny Montell's concert "Tai mūsų laikas" in Kaunas, and as usual, during the broadcast artist's fans were encouraged to donate funds to the singer's preparations for the appearance in Sweden. 10004 Euros have been gathered. Those who still want to contribute can do so until March 31, calling the short number 1419 (EUR 2). It is also possible to contribute unlimited sums by transferring money to the Association "Metų muzikos apdovanojimai" bank account LT50 7044 0600 0773 0001 (SEB Bank) with the words "D. Montvydo palaikymas Eurovizijoje" (I support D.Montvydas for the Eurovision). Earlier, speaking at Žmonės.lt conference Donatas Montvydas stated that the participation in the Eurovision song will cost over 50.000 Euros. Fundraising has been a tradition for the Lithuanian participants, started by Sasha Son in 2009, who raised 80.000 LTL - 23.000 Euros, in 2012 same sum was gathered by Donny Montell in his first participation, Andrius Pojavis got 30.000 LTL - 10.000 Euros, Vilija Matačiūnaite - 50.000 LTL - 15.000 Euros, and last year duet of Vaidas Baumila and Monika Linkytė got 21.000 Euros. Watch the support concert "Būkime kartu" here. LED displays, 3 music premieres, an army of dancers and very carefully thought-out details appearances - this Saturday on Kaunas Žalgiris arena will take place the biggest concert of Donatas Montvydas "Tai mūsų laikas" (This is our time). The long-awaited concert is going to be very intense. 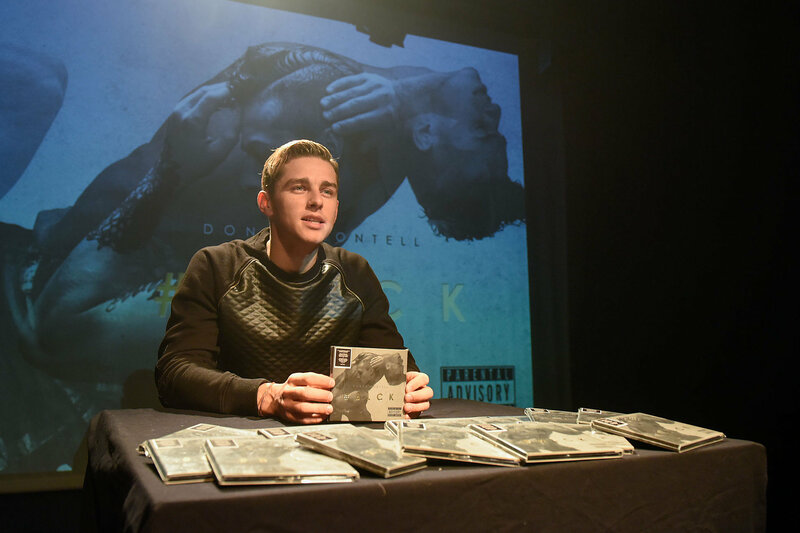 In addition to all the throughout thought show elements, Donny Montell will also present his album #BLCK, the first copies of which fans will be able to purchase at this concert. "After spending a year in the studio, creating an album, I feel that I'm nearing the end of the endless desire to share it with the world and declare - this is our time! ", says the performer. The concert organizers and the singer are focusing on quality, so the fans can expect a carefully orchestrated show, which employs 30 people in the team. "Žalgiris Arena is the biggest concert, which I have arranged, but every time my preparation is not dependent on the size of the hall. I always have only one goal - to leave the audience very surprised and happy" - says Montvydas. 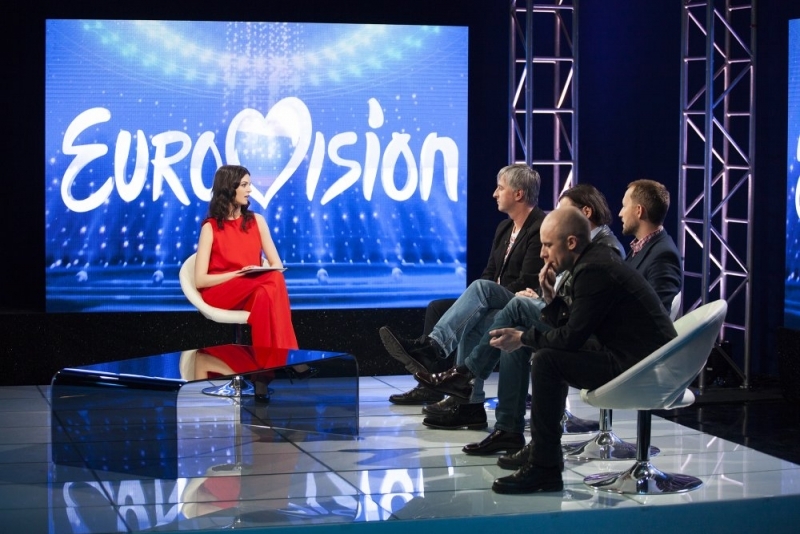 Lithuania opens Eurovision Preview season with the broadcast of the 2nd semifinal review show: Eurovizija 2016. Prognozės, where local experts will investigate competition for the Lithuanian act Donny Montell​. Members of the panel are: Darius Užkuraitis, Ramūnas Zilnys, Tomas Sinickis​ and Vidas Bareikis, who will give their professional opinions and insights. 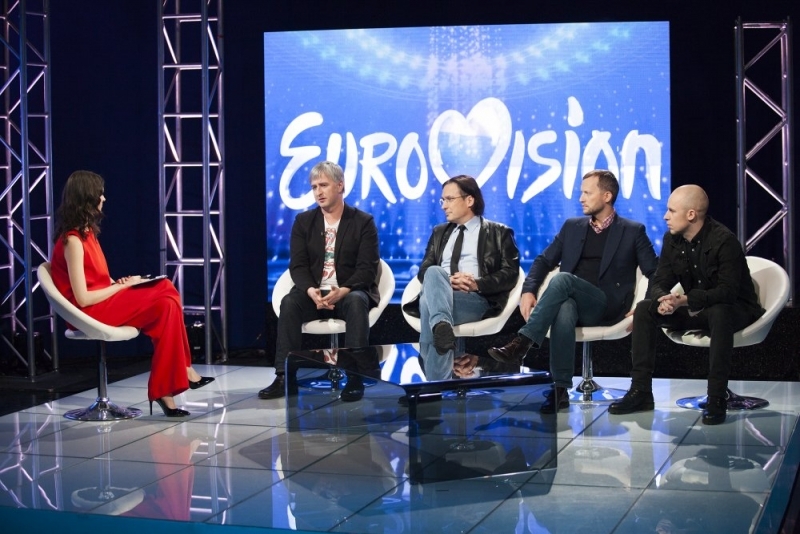 It wasn't surprising for the panelists that many countries, inspired by last year's Swedish success, this year sent to the contest male performers, thus the show turned into a fun search: "Find 10 Montvydas at the Eurovision 2nd semifinal". Donatas even visually looks like an Irishman Nicky Byrne.​ Experts were not that impressed with him. "At Eurovision there happens to be such a formula, when countries choose the singer, who ten years ago was the star. But it almost never works. The Irishman was once in the boy band Westlife, but now they are forgotten, so I don't expect many votes for him", - said R. Zilnys. He is supported also by D. Uzkuraitis, saying that Mr Byrne`simply is not a good singer, and that the jury will necessarily notice that. Latvians also delegate a male vocalist. "And Denmark will be represented by three Montvydas" - laughed show host Geruta Griniūtė. Tall blond IVAN this year will represent Belarus. "That's very bad. If that was at Talentų ringas, he would be sent home without waiting for the end of the song. Worse than him sings only one singer - myself" - amused the audience Tomas Sinickis. Lithuanian experts were sceptical as well about the internet favourite of the semifinal Ukrainian singer Jamala with "1944". "I've heard all the songs that took part in the Ukrainian national final. I think that if not for the situation in Ukraine, they would have chosen not this, but the other entry. The selection was really strong. It is clear that the Ukrainians simply use the opportunity to point out on the situation in their country," - said R.Zilnys. Music reviewer believes that it is quite a clever protest sign. "At Eurovision are prohibited any political themes, but this song has a story that in fact reflects the current situation in Ukraine". R. Zilnys thinks that just because of the political implications this song can occupy a higher place. T. Sinickis disagrees, saying that the Ukrainian crisis is not news for Europe. "I just do not like this song. It would be better if Ukrainians underlined their dignity and just sent a good strong work, despite all the difficulties that took place in the country. Victim's position for me is simply unacceptable," - said T. Sinickis. Possibility of Ukrainian victory was also questioned by D. Uzkuraitis. However, members of the panel got interested in another country - Georgia, represented by Nika Kocharov and Young Georgian Lolitaz​. In their view, the style of their song will be very different from the other participants in the semi-final. "I think the Georgians chose a very good plan. It sounds like a thousand other British bands, and if you hear that on the radio, you will never tell that they are from Georgia. They want to show that Georgia is a Western state, and to form the image of the country for tourists. But whether they will occupy a high place, remains the question," - R. Zilnys said. He, however, thinks that the band was chosen in order to attract more attention, and will likely end being interviewed by the British press, and this in general is a good promotion for the whole country. D. Uzkuraitis however thinks that this band has a chance to collect a healthy number of votes. "Eurovision is the mythical contest, which is watched both by jazzmen and rockers, so they can unite in this vote. It can also get protest votes, because even those people who hate Eurovision, still watch and vote in it. However, in this contest the overall place is not important, most important is to get noticed, discover new fans and get offers to perform," - said the LRT Opus leader. Speaking about own Lithuanian act, V. Bareikis acknowledged that "Performance of Donatas is very good, but in Eurovision everyone is waiting for suprises. A completely unexpected idea will fire", he said. "We have a good base: Donatas has a really good song. 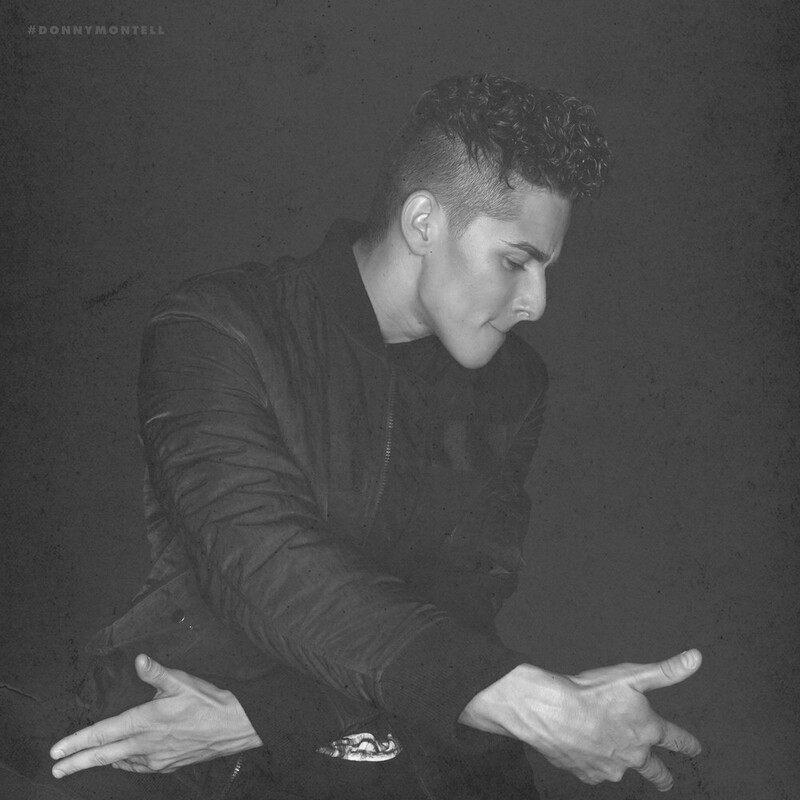 Let us hope that the Swedes [Donny Montell's creative team that includes stage director Sacha Jean-Baptiste, who already staged music video of Montell] will not ruin everything. If Europe has ears, it should vote for Donatas. Anyway, we will not be ashamed because of this year's representative," - said T. Sinickis. "It is possible that Donny's appearance in Stockholm will be completely different, so let them work quietly", said R.Zilnys. Tune in to Eurovizija 2016. Prognozės today at 20:00 CET on LRT (online). Lithuanian broadcaster LRT once again used national preselection, in Lithuanian titled "Eurovizijos" dainų konkurso nacionalinė atranka" to select it's representative for Eurovision 2016. Application deadline for the competition was set for 1 December 2015. There are two preselection categories: Artist - a person or a group of people being Lithuanian nationals of foreigners having residence permit in Lithuania, and Songwriter - a person or a group of people being Lithuanian or foreign nationals submitting previously unreleased and publicly unheard 3-minute song. All basic rules of international Eurovision apply as well. While applying, performers can name a preferable song to perform in preselection or selects one of entries submitted to the contest by composers and same procedure applies to songwriters who may indicate a priority artist or list of artist to perform their entry. Organizers will take into account wishes of artists and songwriters regarding performance of a particular piece, but reserve their right of final decision. If a preferred performer has been relegated from the competition, organizers approach songwriters of the song seeking their consent to allow the composition to proceed in the event, being performed by other acts. Songwriters pass to LRT the exclusive property copyright for the submitted entries, allowing to reproduce the song in any format; adapt, arrange, stage or remake; perform in public by any ways and means; broadcast or publish the song, also making it available on the Internet. The preselection Jury formed by the Host Broadcaster, till 5th December 2015, evaluated all works submitted by the songwriters and shortlisted no less than 20 songs to be presented in the Contest. The further selection was split in two categories: Subgroup A - entrants without their songs, with songs to be chosen by the broadcaster LRT for them, and Subgroup B - entrants that have indicated a predefined song. Andrius Rožickas and Geruta Griniūtė were hosting the national preselection. "Composers geography this year is more extensive than ever. As always, the most active are Swedes, there are also of course Lithuania composers, Greek ones", revealed media manager Lauras Lučiūnas. The only foreigner who entered the selection is Erica Jennings, who is not a Lithuanian citizen, but is married to a Lithuanian and lives there for many years. Five competing entries in the songs part of the competition have been published by Sweden Songs (and music publisher Keith Almgren), the songs were chosen to be performed by 4 Roses, Neringa Šiaudikytė, Baiba Skurstenė-Serdiukė, Ruslanas Kirilkinas and Evelina Jocyte. Aistė Pilvelytė was initially scheduled to sing "You Can't Leave Me Now" of Niklas Bergqvist, yet later she had replaced it with "You Bet" by Rafael Artesero. Competing artists have been revealed on 21 December 2015 during the press launch in Neringa restaurant. 28 artists were announced to compete in the preselection: "4 Roses", Alice Way, Baiba Skurstenė-Serdiukė, Berta Timinskaitė, Deividas Žygas, Gabrielė Grigolaitytė-Vasha, "E.G.O. ", "HIT", Ieva Zasimauskaitė, Milda Martinkėnaitė, Neringa Šiaudikytė, Saulenė Chlevickaitė, Donatas Montvydas, Ištvan Kvik, Lawreigna, Ruslanas Kirilkinas, Vlad Kalugin, "Behind the Moon", Catrinah, Eglė Jakštytė, Elena Jurgaitytė, Erica Jennings, Jurgis Brūzga, Petunija, Rūta Ščiogolevaitė, Ugnė Smile, Valdas Lacko and Aistė Pilvelytė. Subsequently, Gabrielė Grigolaitytė-Vasha (because of death of her grandfather) and "HIT" (illness of one of band members) were withdrawn, while Dovydas Petrošius and Evelina Jocyte have joined the competition. Donny Montell (Donatas Montvydas) represented Lithuania at Eurovision 2012, while Erica Jennings performed at the contest in 2001 as part of SKAMP. Some competing entries can be heard here. The work of jury was practically unchanged. International jury included, among others, members of bands "Fools Garden" (Germany) and "Touch and Go" (UK) - Vanessa Lancaster. There also were negotiations is involvement in few shows of Russian TV person and politician Ksenia Sobchak. Among Lithuanian jury members was be classical singer Nomeda Kazlaus. In a small change, this time International jury had the same weight with the Lithuanian jury. Both juries votes were summed up to get 50% of the total, with the other 50% belonging to televoting. Every show televoting window was opened before performances of the songs. 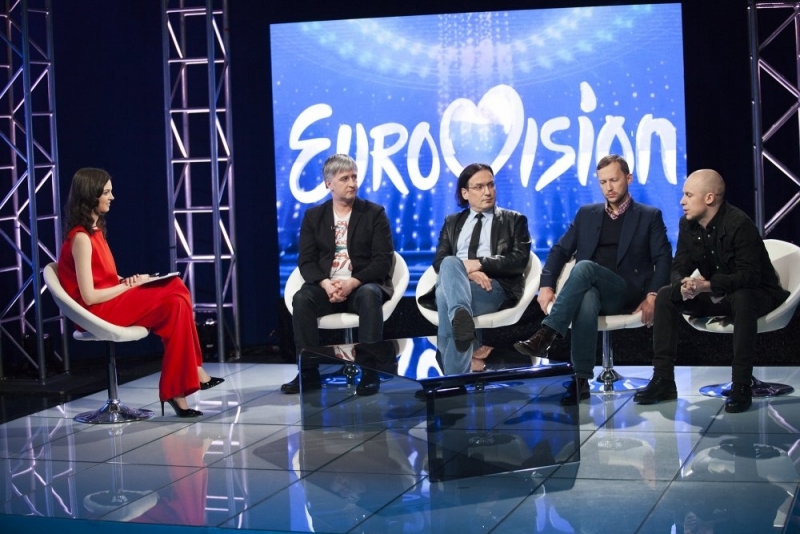 Lithianian jury: Eurovision commentator, LRT Opus programme director Darius Užkuraitis (1-9), director Donatas Ulvydas (1), journalist Ramūnas Zilnys (1-10), actress Dalia Michelevičiūtė (1), opera singer Nomeda Kazlaus (2-4,6-8,10), Eurovision 2015 participant Vaidas Baumila (2,10), singer and producer Laima Lapkauskaitė (3), music critic and journalist Kazimieras Šiaulys (4), director Gintaras Rinkevičius (5), Biplan band guitarist Olegas Aleksejevas (5), leader of the band Išjunk šviesą Valdas Burnys (6), director Dalia Ibelhauptaite (7,9,10), singer Justė Arlauskaitė (8-10), singer/songwriter Tomas Sinickis (9-10). Preselection shows were broadcasted starting 9 January, so the final was set on 12 March. Programme 1 and 2 – Subgroup A - all entrants will perform the songs as submitted by songwriters and selected by the broadcaster. 8 of the competing songs will be presented. Following the audience and the Jury vote, 3 performers, receiving the least number of points, are eliminated from the competition; the same applies to the songs. In case that during the selections certain performers receive an equal number of points, the one who gets more audience votes is announced the winner of the show. Programme 3 - Subgroup B - all entrants perform the competing songs they have chosen themselves, presenting 12 performers. Following the audience and the Jury vote, 2 of the entrants, receiving the least number of points, are eliminated from the competition; the same applies to the songs. Programme 4 - 6 – Subgroup A - Following the audience and the Jury vote, 2 of the entrants, receiving the least number of points, are eliminated from the competition; the same applies to the songs. Programme 5 - 7 – Subgroup B - Following the audience and the Jury vote, 2 of the entrants, receiving the least number of points, are eliminated from the competition; the same applies to the songs. Programme 8 – Subgroups A and B - QUATERFINAL - artists from Subgroups A and B are united. Programme 9 – Subgroups A and B - SEMIFINAL. Program 10 - FINAL. Following the audience and the Jury vote, the Winning Performer and the Winning Song of the Selection are announced. In a case of a tie when performers receive an equal number of votes, the Jury's vote shall be deciding. Programme 11 - Support concert. Contestants ranking 1-5 place in the national preselection are obliged to perform in the fundraising concert. Донни Монтелл (настоящее имя Донатас Монтвидас) родился 22го октября 1987 года в Вильнюсе. Его мать была гимнасткой, а отец - барабанщиком в известной рок-группе Plackartas. Старшая сестра Монтвидаса - профессиональная танцовщица. Интерес к музыке стал проявляться у Донатаса в раннем возрасте. Публично выступать он стал с шесть лит, когда его педагог по вокалу записала его на участие в конкурсе "Dainų Dainelėje" (Песня песенка), где он стал лауреатом с композицией "Aš kiškelis mažas". Позднее Донатас учился в музыкальной школе им. Балиса Дварёнаса. "Сочинять, петь, танцевать – это страсть моей жизни, способ эмоциональной разгрузки, отдыха от всего остального мира. Остаешься наедине со звуками музыки, в которых, в противоположность рациональной жизни, ты чувствуешь себя безопасно, свободно, счастливо, в которых – истинный "я". Каждый человек обладает чем-то самобытным, красивым, только большинство даже не пытается искать. Мы все одарены чем-нибудь от природы, однако все зависит только от нас самих – готовы ли мы это принять. Не думаю, что я особенный, просто в жизни есть люди, которые вдохновляют меня не только как музыканты, сочинители, но и как личности. От этих людей я черпаю силу, идеи и поддержку. Я хотел бы после себя оставить хоть частицу того, что оставили они, но это не ради признания или наград. Если хоть одному человеку в мире, включая и меня, я буду доставлять удовольствие своим творчеством, то я хотел бы стать частью музыки"
Национальная известность пришла к Донатасу с участием в различных телевизионных проектах. В 2008 году он принял участие в шоу "Lietuvos dainų dešimtuke" (Литовская десятка песен) (вместе с Аисте Петкевичуйте), в котором занял 1е место, и затем в национальном отборе на Танцевальное Евровидение, заняв 4е место выступая с Катериной Воропай. В 2010 году он принял участие в программе "Žvaigždžių duetuose 4" (Две звезды) (вместе с Аквиле Каваляускайте), где занял второе место, и в том же году выступил в "Šok su manimi" (Танцы со звездами) (снова вместе с Катериной Воропай), став его победителем. Также он выступает и на международном уровне: стал обладателем Гран-при на фестивале Славянский Базар в Витебске, Беларуси 2008, и принял участие в конкурсе Новая Волна в Юрмале, Латвия, в 2011 году, заняв 12е место. В детстве на Монтвидаса большое влияние оказывали такие артисты как Майкл Джексон и рок-группа Queen, и он очень часто подражал им. Он принял участие в проекте TABAMI, который сам и инициировал, где исполнял песни Майкла Джексона. "Это было одно из исполнившихся моих желаний – на большой сцене исполнять песни Майкла Джексона", – говорит Донни Монтелл. Тажке он принимает участие в национальных отборах на конкурс Евровидение - в 2009 году "From the Distance", 2е место, 2010 - "Running Fast", дисквалифицирована после победы на полуфинале из-за нарушения правила даты релиза, и 2011 - и "Best Friends" в дуэте с Сашей Сон, 4е место. 2012 год приносит успех Донни, он становится победителем национального отбора с песней "Love Is Blind", и занимает 14е место на международном финале Евровидения в Баку. В том же году он выпускает свой дебютный альбом "Donny Montell". В 2013 он становится одним из наставников в проекте "Lietuvos Balsas" (Голос), в котором принимает участие и до сегодняшнего дня (4й сезон). В 2013 году также выходит второй сольный альбом исполнителя "Norim Dar". За 2015-2016 годы певец выпускает синглы "#BLCK" (feat. Echoes), "Viskas Bus Gerai", "Kas Busim Rytoj", "Tai Musu Laikas", "Is Proto Einu" и "I've Been Waiting For This Night". Видеоклип на "I've Been Waiting For This Night" вышел в свет 3го декабря 2015 года, и он был снят в столице Евровидения этого года - Стокгольме. Сингл на песню также включает в себя Trap и Club ремиксы. В настоящее время певец готовит к выходу свой третий альбом "#BLCK". "И мне, и со-автору песни Беатрис Робертссон Донни понравился с первой встречи. Он скромный, добрый, с открытым сердцем. Мы с нетерпением ждем новый встречи с ним в Стокгольме! Без сомнения - он может стать международной звездой", говорит композитор Йонас Тандер. "Донни Монтелл находится на том же уровне, как и прошлогодний победитель Евровидения Монс Зельмерлёв. Отличный певец, умеющий создать привлекательное выступление. Я думаю, что Донни намного повысил свой уровень после Евровидения 2012. Я уверен, что у него есть всем шансы на высокие места в мае в Стокгольме. Донни будет в первой пятерке, а может быть станет и первым". Донни одержал победу на 1м шоу национального отбора, но проиграл Руте Щеголевайте в 4м шоу, и Руте с Эрикой Дженнингс в 6м шоу. Он смог вернуться на верхнюю строчку в 8м шоу с максимально возможными баллами, но в полуфинале (где не голосовало международное жюри), снова проиграл Эрике Дженнингс. Однако, он смог вернуть себе высшую строчку в финальном шоу отбора. "Евровидение - это тот конкурс, о котором я мечтал с детства, с его многомиллионной аудиторией, оно остается одним из немногих способов быть замеченным всем миром. Но первое, что определяет участие в Евровидении - это песня. Она либо у тебя есть, либо ее нет. Вскоре после Евровидения 2012 я начал задумываться о возвращении, но я "ждал" подходящего трека. Теперь, когда я нашел его, я лишь "жду этой ночи". После своего возвращения из Израиля в Литву Донатас Монтвидас провел презентацию своего альбома "#BLCK", во время которой также рассказал местной прессе свежие новости о своей подготовке к конкурсу. "Не буду лгать - я думаю, что это - один из самых дорогих альбомов в истории литовской музыки", говорит Монтвидас о своем релизе. Большая часть альбома была записана на английском языке, и по его словам - это не случайно. "Это сделано специально, потому что я ищу выход на мировой рынок. Нам нужно мечтать и бороться за свои мечты. Почему я не могу вдохновлять других также как когда-то меня вдохновляли Фредди Меркьюри и Майкл Джексон? ", спрашивает он. Шесть песен на альбоме создал шведский автор и продюсер Йонас Тандер, который работал ранее с такими артистами, как Тейлор Свифт и Джесси Джей. Другие песни были написаны самим Монтвидасом, в работе над альбомом также принял участие литовский продюсер Гитис Валицкас. Над звуком работали специалисты из Испании и Швеции. Контракты на промоушен альбома были подписаны с лейблами Италии и Швейцарии. На данный момент альбом можно приобрести только на концертах Монтвидаса: в Шяуляе, Клайпеде, и последнем концерте перед Евровидением 21го апреля в Вильнюсе. Также его можно приобрести на онлайн цифровых сервисах. После короткого пребывания в Литве певец отправится в Швецию продолжить репетиции с постановщиком его номера Сашей Жан-Баптист. Во время пребывания в Израиле Донни также получил весьма хорошие новости от организаторов Евровидения в Стокгольме. Режиссер конкурса, наконец, подтвердил, что представитель Литвы сможет выполнить на сцене впечатляюще и в какой-то степени рискованное сальто, используя также для него специальные эффекты, включая дымовую завесу. Еще более хорошие новости - Донни разрешили использовать собственный батут, и потому его не придется брать его аренду от организаторов конкурса, и тем образом съэкономить средства. Батут уже был отправлен в Швецию вчера, чтобы Донни смог использовать его во время репетиций. Певец отправится на Евровидение 2го мая. "Я чувствую себя спокойно, поскольку у нас есть понимание всего, что мы хотим сделать. И, что более важно, в этом году у нас есть команда, каждый член которой занят своей работой. Четыре года назад я с моим менеджером Мартинасом Тилой делали все сами, но в этом году с нами есть люди, которые помогают нам во всех стадиях процесса, объясняет певец. Во вторник певец Донни Монтелл снимал открытку для Евровидения в Вильнюсе. Работа началась с совместных съемок вместе с баскетбольным клубом Летувос Ритас, где представитель Литвы на Евровидении принял участие вместе с Антанасом Каваляускасом, Миндаугасом Лукаускисом и другими звездами команды в импровизированной тренировке. "Для меня - это воплощение детской мечты, поскольку баскетбол - это моя страсть", говорит выпускник спортивной школы, получивший шанс сыграть с профессионалами. Десять лет Донатас тренировался и даже закончил баскетбольную школу, но, в конце концов, решил посвятить свою жизнь музыке, а не профессиональному спорту. Но тем не менее, он продолжает играть в баскетбол в любительской команде. После спортивной арены Донатас отправился в Тракай, где к нему присоединилась его жена Вероника и дочь Адель. Съемки со всей семьей продолжились в замке Тракай и ряде других точек города, с которых открывался впечатляющий вид. Решение о том, чтобы в посткарде снялись его родные, было принято самим Донни, поскольку он хотел подчеркнуть важность семьи в его жизни. Его жена и дочь также присоединятся к нему в Стокгольме. В понедельник вечером телеканал LRT показал концерт Донни Монтелла "Tai mūsų laikas" из Каунаса, и, как обычно, во время эфире поклонники исполнителя могли пожертвовать средства на его подготовку к выступлению в Швеции. Всего было собрано 10004 евро. Те, кто все еще хочет помочь Донни, могут сделать это до 31го марта, позвонив на короткий номер 1419 (2 евро). Также возможно перечислить неограниченные суммы на счет ассоциации "Metų muzikos apdovanojimai" LT50 7044 0600 0773 0001 (SEB Bank) с текстом "D. Montvydo palaikymas Eurovizijoje" (Я поддерживаю Д.Монтвидаса на Евровидении). Ранее, в рамках конференции на Žmonės.lt Донатас сообщил, что подготовка к конкурсу обойдется не менее чем в 50 тысяч евро. Сбор средств является традицией для участников Евровидения от Литвы, которую начал в 2009 году Саша Сон, собравший 80.000 LTL - 23.000 Евро, в 2012 такую же сумму для своего первого участия в конкурсе собрал и Донни Монтелл, Андрюс Появис получил 30.000 LTL - 10.000 Евро, Вилия Матачюнайте - 50.000 LTL - 15.000 Евро, а в прошлом году дуэт Вайдаса Бомилы и Моники Линките смог собрать 21.000 Евро. Посмотреть концерт "Būkime kartu" в поддержку артиста вы можете здесь. LED экраны, 3 музыкальные премьеры, армия танцоров и тщательно продуманные детали выступлений - в эту субботу на сцене Жальгирис Арене в Каунасе пройдет самый крупный концерт Донатаса Монтвидаса "Tai mūsų laikas" (Это - наше время). Долгожданный концерт будет очень интенсивным. Помимо всех шоу элементов, Донни Монтелл также представит свой альбом #BLCK, первые копии которого поклонники смогут приобрести на концерте. "После года работы над альбомом в студии, я чувствую, что приближаюсь к концу ожидания и желания поделиться своей работой с миром и заявить - наше время пришло! ", говорит исполнитель. Организаторы концерта и сам исполнитель фокусируются на качестве, и потому поклонники могут ожидать тщательно срежиссированного шоу, над подготовкой которого работает 30 человек. "Жальгирис Арена - самая крупная концертная площадка, где я выступал, но каждый раз подготовка к концерту не зависит от размера зала. У меня есть всего одна цель - чтобы зрительская аудитория осталась рада и удивлена" - говорит Монтвидас. Литва открывает сезон превью шоу своим сегодняшним эфиром в 22:00 Москвы. Участники программы: Видас Барейкис, Дарюс Ужкурайтис, Рамунас Зилнис и Томас Синицкис оценят конкурентов Донни Монтелла во втором полуфинале. Для них не стало сюрпризом, что многие страны, вдохновленные прошлогодним успехом Швеции отослали на конкурс в этом году мужчин исполнителей, потому программа пройдет под девизом "Найди 10 Донни во втором полуфинале". Исполнитель Ирландии выглядит почти как Донни. "На Евровидении встречается такая формула, когда выбирают артиста, чей пик популярности прошел десять лет назад. И она никогда не работает. То, что он когда-то был членом Westlife, не поможет совершенно", говорит Рамунас Зилнис. Его мнение поддерживает и Дарюс Ужкурайтис, отмечающий, что Бирн просто слабый певец, и жюри обязательно заметит это. От Латвии также будет сольный исполнитель. "А от Дании споют три Монтвидаса", пошутила ведущая Герута Гринюте. Высокий блондин Ivan представит Беларусь. "Очень плохо. Если бы это происходило на Talentų ringas, то его бы отослали домой еще до окончания песни. Хуже него поет только один певец - я", удивил аудиторию своими комментариями Томас Синицкис. Скептически отнеслись литовские эксперты и к песне Джамалы - "Если бы в Украине была другая политическая ситуация, то на отборе победила бы другая песня. Отбор был очень сильным. Но очевидно, что украинцы использовали возможность подчеркнуть ситуацию, сложившуюся в их стране", говорит Зилнис, считая, что голосование за Джамалу было протестным, но достаточно грамотным протестом. "На Евровидении запрещена политика, но в этой песне скрыта история, которая отражает нынешнюю ситуацию в Украине". Рамунас считает, что из-за политических вопросов Украина может занять высокое место на конкурсе. "Мне просто не нравится эта песня. Мне кажется, что для Украины было бы лучше подчеркнуть высокий музыкальный уровень своей страны, отправив на конкурс реально сильную работу, несмотря на все сложности. Позиция жертвы для меня совершенно неприемлема", говорит Синицкис. С другой стороны, эксперты отметили песню Грузии и Young Georgian Lolitaz. "У грузин очень хороший план. Музыка группы звучит как музыка тысяч других британских групп, если бы я слышал эту песню на радио, я бы никогда не сказал, что они из Грузии. Тем самым, они показывают, что Грузия - западная страна, и создают привлекательный имидж ее для туристов. Правда сложно предсказать высокое место на конкурсе", отметил Зилнис. По его словам Грузия прежде всего гарантирует себе хороший промоушен в британской прессе. Дарюс Ужкурайтис считает, что у Грузии есть шанс собрать много голосов. "Евровидение - такой конкурс, который смотрят и джазмены и рокеры, потому они могут объединиться в своей поддержке. Также, здесь помогут и протестные голоса, ведь даже те люди, которые терпеть не могут Евровидение, все равно смотрят и голосуют на нем. Самое важное на конкурсе - не место, а новые поклонники и новые предложения для выступлений". Говоря о собственном представителе Литвы, Барейкси отметил: "Выступление у Донатаса очень хорошее, но на Евровидении все ждут сюрпризов. Выстрелит какая-то совершенно неожиданная идея". "У нас есть хорошая основа: у Донатаса действительно сильная песня. Давайте надеяться на то, что шведы [творческая команда Донни, которая включает в себя постановщика номера Сашу Жан-Баптист, которая уже подготовила номер для видеоклипа Монтелла] не испортит ничего. Если у Европы есть уши, то она должна проголосовать за Донатаса. В любом случае, за нашего представителя этого года стыдно не будет," - говорит Синицкис. "Возможно, что выступление Донни в Стокгольме будет совершенно иным, потому давайте просто дадим им спокойно работать", завершил дискуссию Р.Зилнис. Eurovizija 2016. Prognozės - сегодня в 22:00 Москвы на LRT (онлайн). Литовский вещатель LRT для отбора своего представителя на Евровидение 2016 вновь использовал национальный отбор, на литовском носящий название "Eurovizijos" dainų konkurso nacionalinė atranka". Крайний срок приема заявок на участие в конкурсе был установлен на 1 декабря 2015 года. Они разделяются на две категории: Артист - исполнитель или группа лиц, с литовским гражданством или видом на жительство в Литве; и Автор - лицо или группа лиц, вне зависимости от гражданства, заявляющие ранее неизданную и не исполнявшуюся 3х минутную песню. Все основные правила международного Евровидения также применяются к заявляемым песням. Во время оформления заявки, исполнители могут указать предпочтительную для их исполнения на национальном отборе песню, или выбирают одну из заявок, поданных на участие в конкурсе композиторами. Та же процедура применяется и к авторам, которые имеют право указать артиста, имеющего приоритетное право на исполнение их песни, или список таких артистов. Организаторы постараются принять во внимание пожелания артистов и авторов, касающиеся исполнения конкретных песен, однако последнее слово в этом вопросе остается за национальным вещателем. Если приоритетный исполнитель песни покидает отбор, организаторы обращаются к ее авторам с вопросом о том, готовы ли они будут разрешить композиции остаться в отборе, и быть исполненной другими артистами. Авторы передают телеканалу LRT эксклюзивные имущественные права на поданные заявки, позволяя воспроизводить песни в любом формате, адаптировать, аранжировать, переделывать, осуществлять сценическую постановку, исполнять на публике любым способом, передвать в эфир, или публиковать песню, в том числое в сети интернет. Состав отборочного жюри сформированный национальным вещателем, до 5го декабря 2015 года оценил все заявки поданные авторами на участие в конкурсе и отобрал не менее 20 песен для участия в дальнейшей стадии отбора. Дальнейший телевизионный отбор был разделен на две категории: Подгруппа А: исполнители без собственных песен, кому песни были подобраны вещателем, и Подгуппа Б: исполнители, которые указали предпочитаемую ими для исполнения песню. Андрюс Рожицскас и Герута Гринюте стали ведущими национального отбора. "География композиторов в этом году еще более широка, чем обычно. Как всегда, наиболее активными оказались шведам, но, конечно, есть песни литовских композиторов, греческих", рассказал менеджер отбора Лаурас Лучюнас. Единственной же иностранной участницей, допущенной до отбора, стала Эрика Дженнингс, которая давно проживает в Литве и замужем за литовским гражданином. Пять композиций, участвующих в отборе песен были подготовлены лейблом Sweden Songs (издатель Keith Almgren), для исполнения их выбрали 4 Roses, Neringa Šiaudikytė, Baiba Skurstenė-Serdiukė, Ruslanas Kirilkinas и Evelina Jocyte. Aistė Pilvelytė первоначально должна была исполнить песню "You Can't Leave Me Now" Никласа Бергквиста, но в итоге приняла решение о замене ее на "You Bet" Рафаэля Артесеро. Имена конкурсантов отбора были представлены публике 21го декабря 2015 года на презентации, прошедшей в ресторане Неринга. Всего в отборе должны были выступить 28 артистов: "4 Roses", Alice Way, Baiba Skurstenė-Serdiukė, Berta Timinskaitė, Deividas Žygas, Gabrielė Grigolaitytė-Vasha, "E.G.O. ", "HIT", Ieva Zasimauskaitė, Milda Martinkėnaitė, Neringa Šiaudikytė, Saulenė Chlevickaitė, Donatas Montvydas, Ištvan Kvik, Lawreigna, Ruslanas Kirilkinas, Vlad Kalugin, "Behind the Moon", Catrinah, Eglė Jakštytė, Elena Jurgaitytė, Erica Jennings, Jurgis Brūzga, Petunija, Rūta Ščiogolevaitė, Ugnė Smile, Valdas Lacko и Aistė Pilvelytė. Впоследствии, Gabrielė Grigolaitytė-Vasha (из-за смерти ее дедушки) и "HIT" (болезни одной из участниц группы) сняли заявки, и вместо них на отборе выступили Dovydas Petrošius и Evelina Jocyte. Donny Montell (Donatas Montvydas) представлял Литву на Евровидении 2012, а Erica Jennings выступала на конкурсе в 2001 году в составе группы SKAMP. Некоторые участвующие песни можно прослушать здесь. Работа жюри в этом году практически не изменилась. Международное жюри включало в себя, помимо прочих, членов групп "Fools Garden" (Германия) и "Touch and Go" (Великобритания) - Ванессу Ланкастер, а также велись переговоры по участию в некоторых шоу российской телеведущей и политика Ксении Собчак. Среди членов литовского жюри была, например, классическая певица Номеда Казлаус. По сравнению с прошлым годом, на этот раз международное жюри имело такой же вес, что и литовское жюри. Оба жюри были просуммированы для получения 50% голосов, вторые 50% принадлежали зрителям. В каждом шоу окно для телеголосования открывалось до исполнения песен. Литовское жюри: комментатор Евровидения, программный директор LRT Opus Darius Užkuraitis (1-9), режиссер Donatas Ulvydas (1), журналист Ramūnas Zilnys (1-10), актриса Dalia Michelevičiūtė (1), оперная певица Nomeda Kazlaus (2-4, 6-7, 10), участник Евровидения 2015 Vaidas Baumila (10), певица и продюсер Laima Lapkauskaitė (3), музыкальный критик и журналист Kazimieras Šiaulys, режиссер Gintaras Rinkevičius (5), гитарист группы Biplan Olegas Aleksejevas (5), лидер группы Išjunk šviesą Valdas Burnys (6), режиссер Dalia Ibelhauptaite (7,9,10), певица Justė Arlauskaitė (8-10), автор и исполнитель Tomas Sinickis (9-10). Международное жюри: солист немецкой группы "Fools Garden" Peter Freudenthaler (1-2,4,6,10), британский продюсер Denis Ingoldsby, работавший с Alicia Keys, "Girls Aloud", t.A.T.u. и песней Димы Билана "Believe" (1,3,5,7,10), гитарный виртуоз Dave Holmes (Великобритания) (1,3,5,8,9), британский исполнитель Syron (2,4,6,10), член немецкого джазового ансамбля De-Phazz Карл Фриерсон (2,4,7,9), солистка британской джаз-поп группы Touch and Go Ванесса Ланкастер (3), группа Brainstorm (Латвия) (9), композитор и продюсер Карлис Аузанс (Латвия) (5,6), продюсер, музыкант, член тур-состава Imagine Dragons Уилл Уэллс (США) (7-9). Отборочные шоу начались с 9го января, таким образом, финал прошел 12 марта. Выпуски 1 и 2 - Подгруппа А - все участники исполняют песни, заявленные авторами и подобранные вещателями. 8 песен будет представлено в каждой из программ. После суммирования голосования телезрителей и жюри, 3 исполнителя, получившие наименьшее количество баллов, покидают конкурс; то же самое применяется и к песням. В случае, если во время отбора несколько исполнителей получают равное количество баллов, победителем шоу объявляется артист, получивший большее количество баллов от телезрителей. Выпуск 3 - Подгруппа Б - все участники исполняют конкурсные песни, которые они выбрали сами. В программе будут представлены 12 участников. После суммирования голосования телезрителей и жюри, 2 исполнителя, получившие наименьшее количество баллов, покидают конкурс; то же самое применяется и к песням. Выпуск 4 - 6 - Подгруппа А - после суммирования результатов голосования телезрителей и жюри, двое исполнителей, получившие наименьшее количество баллов, покидают конкурс; то же самое применяется и к песням. Выпуск 5 - 7 - Подгруппа Б - после суммирования результатов голосования телезрителей и жюри, двое исполнителей, получившие наименьшее количество баллов, покидают конкурс; то же самое применяется и к песням. Выпуск 8 - Подгруппы А и Б - ЧЕТВЕРТЬФИНАЛ - объединяются 12 участников из групп А и Б.
Выпуск 9 - Подгруппы А и Б - ПОЛУФИНАЛ. Выпуск 10 - ФИНАЛ. После суммирования результатов голосования зрителей и жюри, объявляются победитель и победившая песня отбора. В случае равенства баллов, предпочтение отдается артисту, получившему большее количество баллов от жюри. Выпуск 11 - Концерт поддержки. Конкурсанты, занявшие 1-5 места в национальном отборе обязуются выступить в этом концерте, направленном на сбор средств на подготовку к Евровидению.